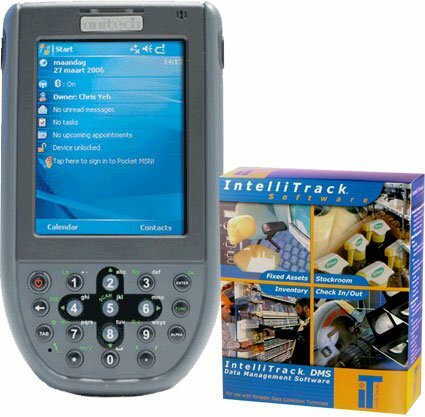 This Check In-Out tracking solution featuring IntelliTrack data management software provides an efficient and cost-effective method to track circulating assets and consumable inventory within a company or department by utilizing mobile computers. IntelliTrack Check In-Out collects and stores user IDs, both consumable and circulating items, locations, and quantities. In addition, Check In-Out completes routine physical inventories, manages a perpetual inventory and tracks items checked out by employees and/or customers. The BCI PA600-INTELLI-CHECK-IN-OUT-BUNDLE is also known as PA600-INTELLI-CHECK-IN-OUT-BUNDLE	or PA600INTELLICHECKINOUTBUNDLE	.